This isn't really my make-up bag, it's more of a mish mash of my everyday skin care, body care and make-up. I don't really know what to call it so make-up bag is just easier. As you can see, it's a bit full so I'm thinking of buying the larger sized Ted Baker bag so I am actually able to close it. I'll then probably keep this little pink one for make-up only. I either have this sitting on my bedside table or on my make-shift dressing table, it just depends where I feel like using the products that day. I'm not really going to go into the products in the third photo as I talked at length about them in my Current Skin Care post. If you want to know more about them then head on over to that post. As well as my everyday skin care, I also have some products that I use often but aren't part of my everyday routine. These include Liz Earle Superskin Concentrate which I use when my skin is very dry and needs a good boost. I also like to apply a bite to my temples if I'm having trouble sleeping. I just have a couple of the tiny samples but I'm hoping to buy the full size at some point. 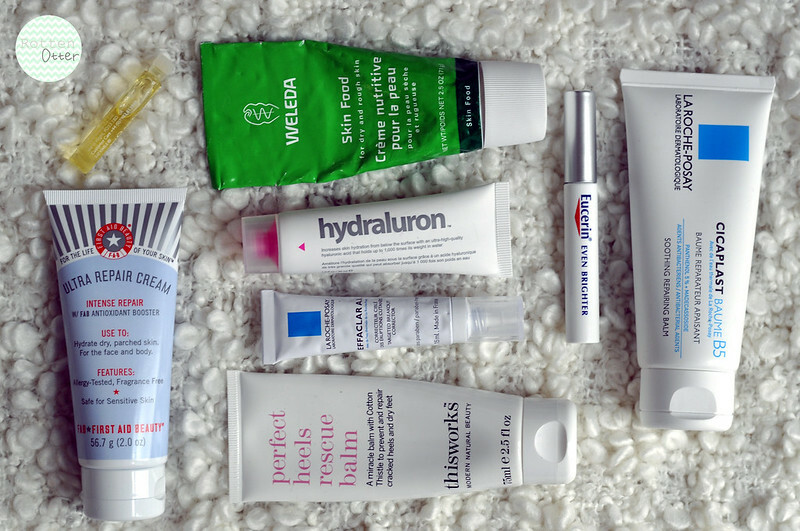 For when my skin needs a bit more hydration but something that isn't as heavy like an oil I reach for the Indeed Labs Hydraluron as my serum. For the body I've just started to use the Ultra Repair Cream from First Aid Beauty which I am loving and is helping my eczema and dry skin without being heavy. An old favourite is Weleda Skin Food which I use on any dry patches including my face and then This Works Perfect Heels Rescue Balm on my elbows and heels, a life saver. Also a newer cream to fight eczema is the La Roche-Posay Cicaplast Baume B5 which I like but haven't made my mind up about yet. So far it isn't as good as the FAB one. 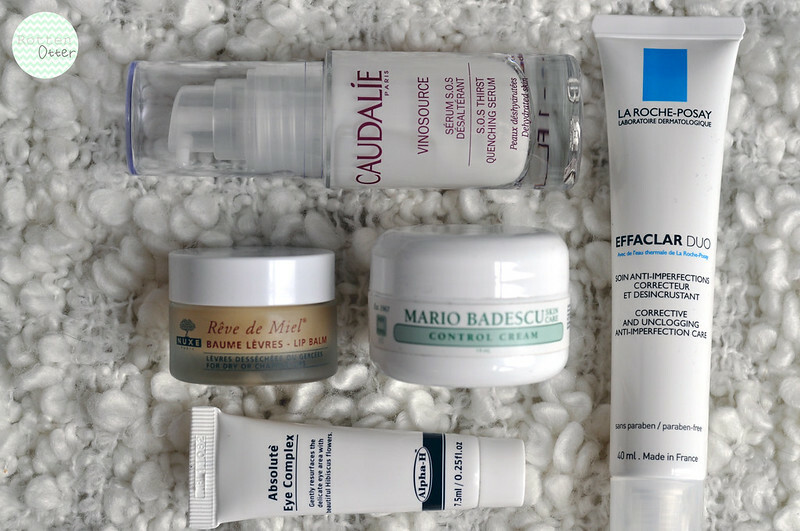 For spots I've been testing out the La Roche-Posay Effaclar A.I which is still early days but I hate the packaging. So much product comes out at once that I end up wasting so much. Also a new addition is the Eucerin Even Brighter Spot Corrector* which I've only used once or twice so far. Again I don't really like the packaging, it would be better with a pump or something more hygienic especially when you're meant to apply it to spots. 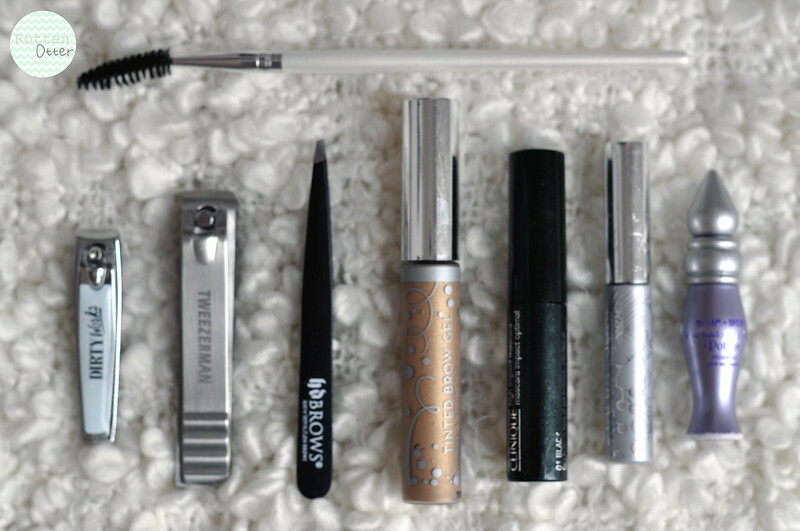 Next up are the make-up items that I use every day which are just easier to keep with my skin care. Anything else I need for the day I just pull out of my make-up drawers. I'm currently using Urban Decay Primer Potion as my base, Clinique Bottom Lash and High Impact for my mascaras and Anastasia Tinted Brow Gel for my eyebrows. I also keep my nail clippers in here as well as my tweezers and spoolie. Great post! You have some really interesting products in there. The make up bag is adorable. I've been after Nuxe Reve de Miel for months and really need to try out some La Roche-Posay after hearing such amazing things! Do you have one you'd say is a favourite? 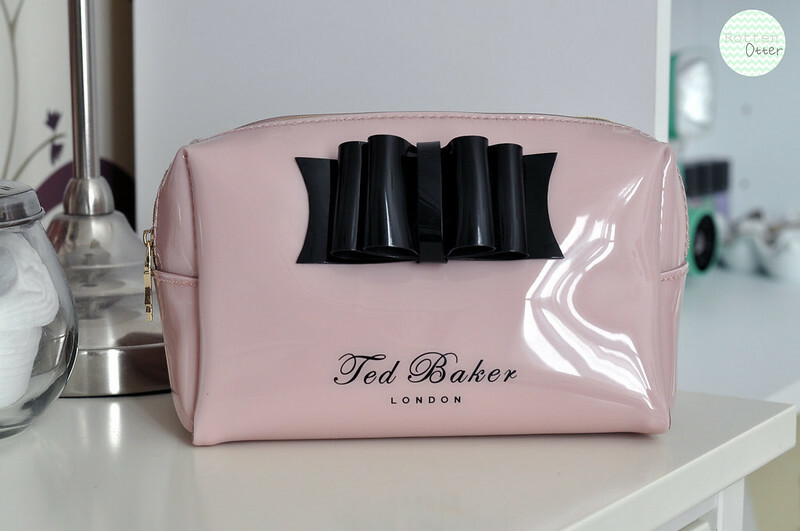 Ted Baker's makeup bags are so pretty!